Pensnett Halt opened on the GWR's Wombourne Branch in 1925 and was open to passengers, along with the rest of the line, for only seven years up until 1932 when all the stops were closed and the line retained for goods use until 1965. I have to confess, much to my annoyance, at not being able to work out a way of getting down to track level here, except for walking along the track from Bromley Halt which was not an option due to torrential rain turning the area into a mud bath, so I could not fully ascertain what was left at ground level: although I may well return to walk the entire route in sunnier weather later in the year. Above we see a shot of the halt from 1966 (photo: Roger Fletcher), some 34 years after closure to passengers. The date of the photograph may cause some confusion to those who have read the pages for the other stops on the line so it is important here to point out that although the line closed in 1965 as a through-route for goods traffic, part of the line remained open to serve Baggeridge Colliery until 1968. 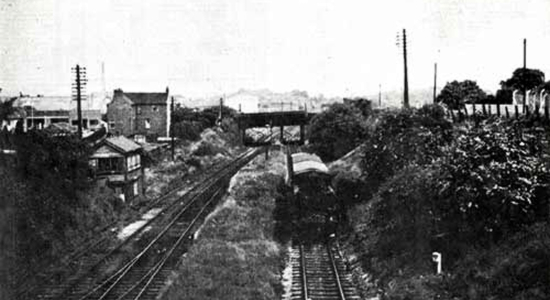 The bridge beyond the train carries what is now High Street (A4101) over the tracks: the halt lay in between the bridge and the signal box - the photograph is looking north. 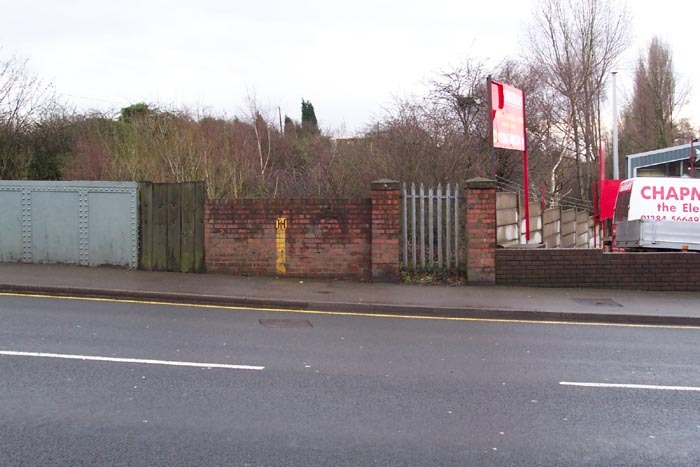 Above-left we are on High Street looking at the entrance to the northbound platform of the halt - the red brick area next to the iron workings of the bridge. Above-right we have crossed over the road and are looking over the brick wall identified previously and can see the remains of a structure behind it - although I cannot determine its function. This is at the top of the pathway leading down to the platform. Unfortunately, I have only seen the photograph at the top of this page showing this halt and, whilst interesting, is too recent to show all the detail that must have once been there. Above-left we are looking down at the trackbed with the northbound platform to our right. What appears to have been an island platform in the period photograph (but in fact was not but merely up and down main to the left with the loco on the up goods loop) would have been dead-ahead over the line of the pathway that can now be seen. Above-right is an interesting shot, which came as a surprise to me, taken from High Street bridge looking north. The multiple sidings here were apparently used to serve a Perrier distribution centre sited where the trucks can be seen to the left! 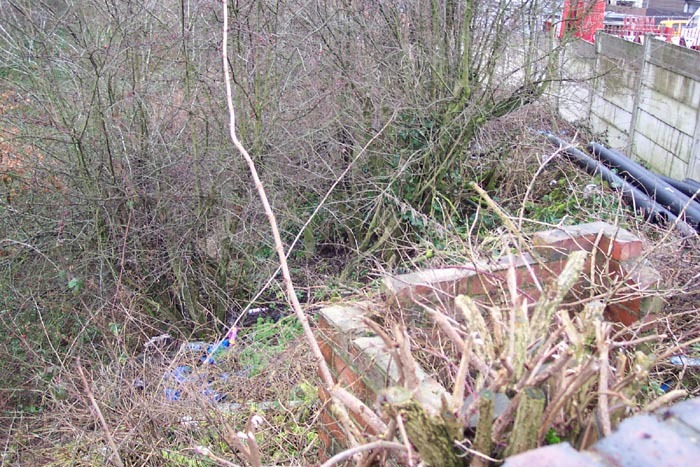 As I stated earlier, I don't think I got the full picture of this site but it was interesting nonetheless - particularly the sidings: the line north of these sidings has now been lifted.